Speaking of Venom, (which set a record for biggest opening weekend in October, bringing in 80 million from fans who couldn’t care less what the critics had to say on this one,) will this movie lead to October being next? Will the studios learn from this one? Probably not, but it’s certainly worth hoping for. If it seems like this timing business is all pretty obvious, and like the studios don’t really need to learn a lesson, wait until we get to talking about Justice League and Solo, and their abmissal release dates. But let’s stick with the good for just a few more moments first, before we delve into the depths of the problem. Deadpool came out in February of 2016. There was nothing else nearby. No other superhero films. And Deadpool got everyone’s attention. The movie did tremendous business and established those early months of the year as a great time to release R rated franchise films. Logan and John Wick 2 (both rated R,) both came out around that time the following year, and both did very well. But sometimes the studios make quick decisions about release dates that seem pretty illogical. 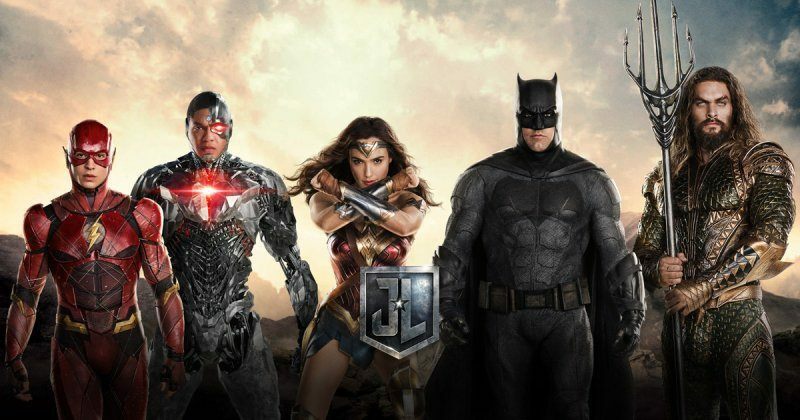 With Justice League, the issue of how the movie ended up getting released when it did, is one for the ages. Look, Justice League is not a good movie. But it’s not terrible either. 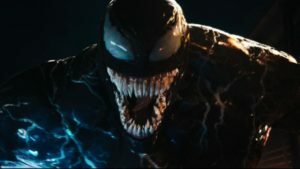 It’s about on the same level as Venom, which means it’s kind of dopey, but also kind of fun, in a B movie sort of way. But then to make matters even worse, Thor Ragnorak (all Thor movies really,) are about a god-like superhero. It’s fantasy at the highest level, including other worlds, planets, aliens, and futuristic weapons. So don’t go giving us another fantasy superhero movie about characters with special powers just two weeks later. Maybe a dark and gritty realistic superhero film, like a Batman, might have had a chance. Maybe not. Either way, releasing Justice League here was an incredible blunder. And the box office receipts showed it. People would have been hungry for the movie (like they were for Venom,) if it was released in an area where there were less superhero films to choose from. For a while, it seemed like Disney’s Star Wars plan was great. The Force Awakens in December of 2015. Rogue One in December of 2016. The Last Jedi in December of 2017. And then, for some unknown reason, they decided to release Solo, just six months after The Last Jedi, in May 2018. Why? First of all, they were breaking their own rule and plan, about releasing a movie once a year, in December. Secondly, this May date was just weeks after Avengers Infinity War (by the same studio. Talk about canibalizing themselves.) And lastly, they didn’t even have another Star Wars movie lined up for the next year and a half. That’s right. The next Star Wars movie won’t be released until December 2019. So why rush Solo out? And if you don’t think they rushed it, you might want to read about how the directors, Phil Lord and Chris Miller (the same guys who brought us the 21 Jump Street movies and The Lego Movie,) were fired after directing more than half the movie, and then replaced at the 11th hour by Ron Howard. Yeah, they could have used more time to get this one right. And this is why timing is so important. Compare Solo and Justice League, two movies with built in fan bases, (that should have been huge,) to Guardians of the Galaxy and Venom. No one ever even heard of the Guardians of the Galaxy when that movie was released. But it found a spot in the empty month of August and cashed in. Just like Venom did with October. Fans get hungry for a superhero movie when they haven’t seen one in while. It’s as simple as that. And I’m fine with one being released every month (in fact, during the summer time months of May through August, that’s exactly as it should be,) but when they start getting released every two weeks, it’s overkill. Hopefully the studios will learn this lesson soon.